Pancakes are one of my favorite brunch recipes. Everyone loves a stack of homemade pancakes, and this Eggnog Dutch Baby Pancake recipe is perfect for any brunch crowd. I started making these pancakes last year after they popped up on Pinterest, and everyone in my family is now in love with them. If you haven’t tried them, they are a crossover between crepes, a popover, and a pancake all in one casserole dish. 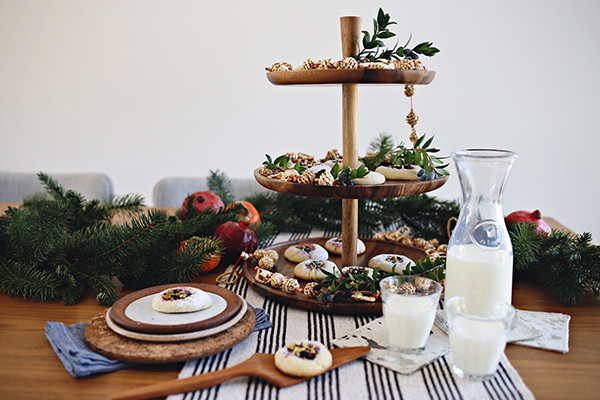 The simplicity of the recipe lets you use any flavors you choose, like this eggnog spice that’s perfect for the holiday season. To make a Dutch baby, all you need is a very thin (and smooth) pancake batter with a hot pan to start. The puffy pancake forms as it bakes. Start by combining all of the ingredients in your KitchenAid® Pro Line® Series 16-Cup Food Processor. 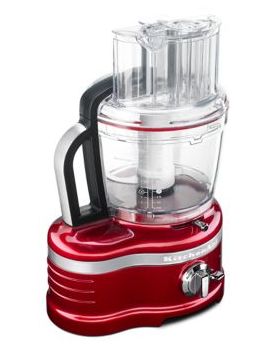 The pancake batter needs to be extremely smooth and thin, and for that you need a powerhouse food processor like this one! It is the appliance in my kitchen that I use the most as it is also perfect for dicing vegetables with the first, residential, hands-free, commercial-style dicing kit. Blend the ingredients until they are smooth and fine, about 1 minute of regular pulses. The longest step in making a Dutch baby is letting the batter sit for about 20 minutes so that the ingredients incorporate well. This will determine whether you have a light or dense pancake. You want a light pancake, so let it rest. 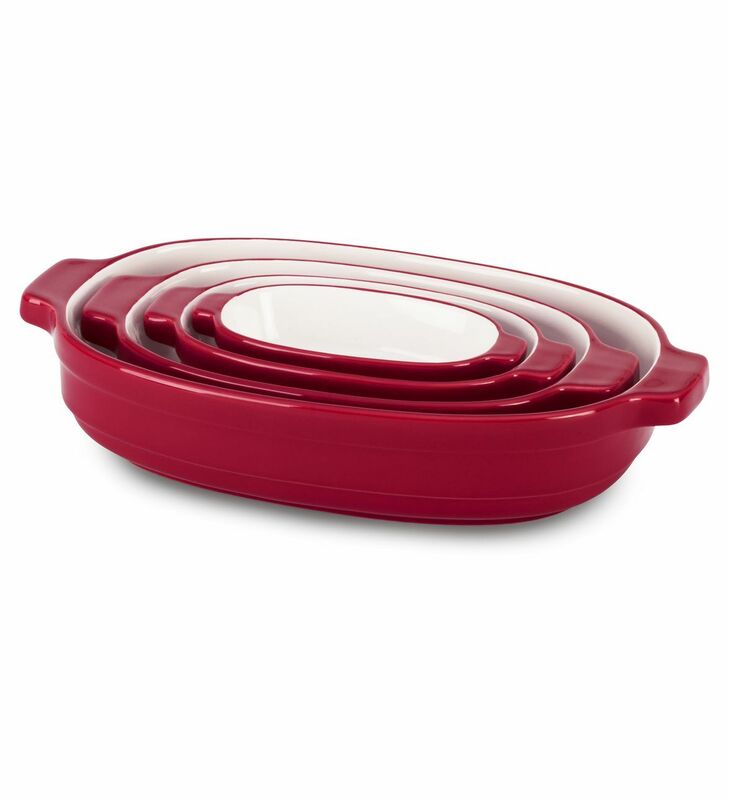 During this time, preheat the oven to 450° F. Place a casserole dish from the KitchenAid® 4-Piece Nesting Casserole Set in the oven and make the cranberry compote. You can use any kind of topping on the Dutch baby pancake, but I chose cranberry as it’s perfect for this time of year and goes great with eggnog. To make the compote, combine all the ingredients in a small saucepan from the KitchenAid® Stainless Steel 10-Piece Set over medium-low heat. Allow the compote to cook slowly until the cranberries start to burst and the mixture thickens. Cook for 3 to 4 minutes, stirring occasionally, until the cranberry compote thickens. Remove the compote from heat and let cool. When the oven is heated, remove the casserole dish and melt the butter in the dish before pouring in your pancake batter. Bake the pancake until it puffs. I love making it in the Nesting Casserole Set dishes as they transport easily to the table. 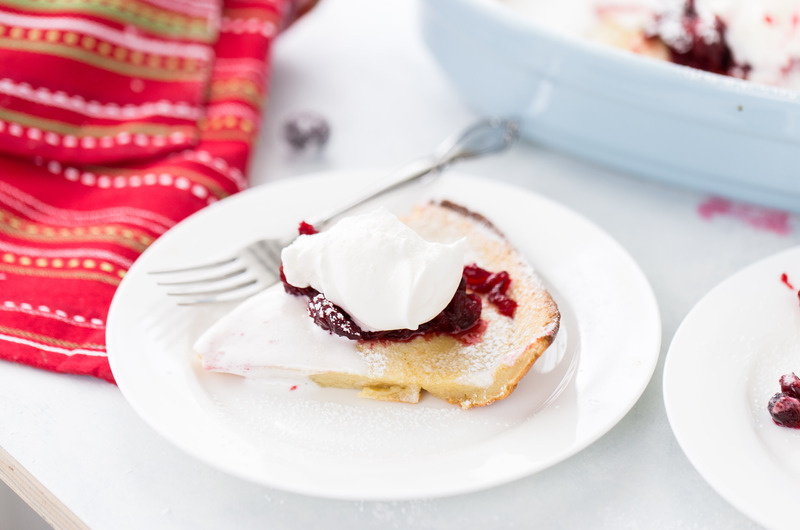 This sweet, perfectly spiced eggnog pancake with cranberry compote is great for any holiday brunch. But it’s made even more perfect with freshly brewed loose leaf tea made with the KitchenAid® Glass Tea Kettle. This Glass Tea Kettle makes the process of brewing tea so easy and quick with five preset temperatures and fast all-in-one brewing. I chose a Chai tea to accompany the eggnog and cranberry flavors in my brunch dish. Because Chai is a black tea varietal, I used the black tea pre-set temperature setting (or 95° C). Share your take on these Eggnog Dutch Baby Pancakes on Instagram using #MadeWithKitchenAid for a chance to be featured. 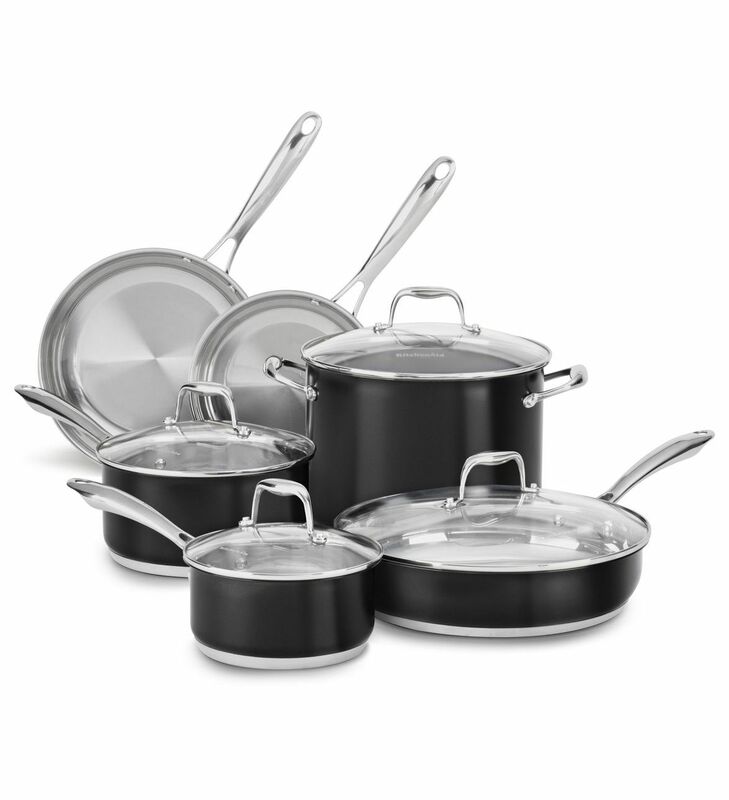 Preheat oven to 425° F. Warm a casserole dish from the KitchenAid® 4-Piece Nesting Casserole Set in the oven as it heats. 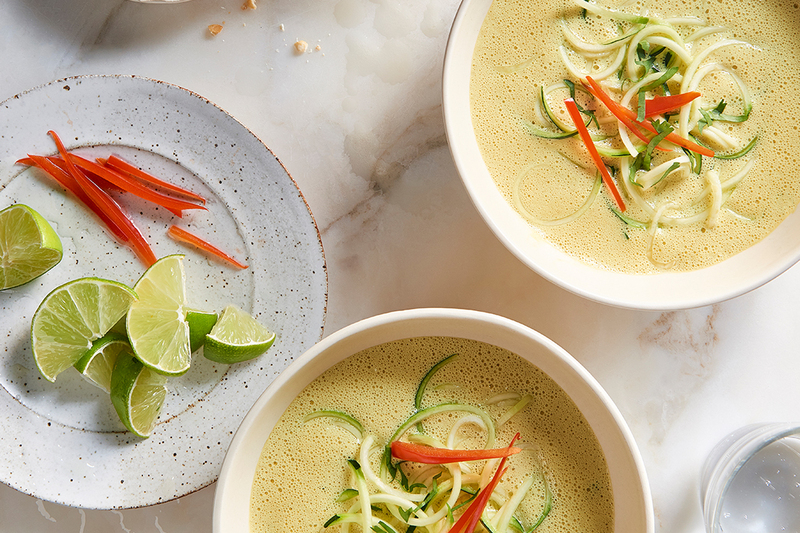 In the bowl of the KitchenAid® Pro Line® Series 16-Cup Food Processor, combine all the ingredients. Pulse the ingredients until they are well combined and smooth. Let batter sit in the food processor for at least 20 minutes. 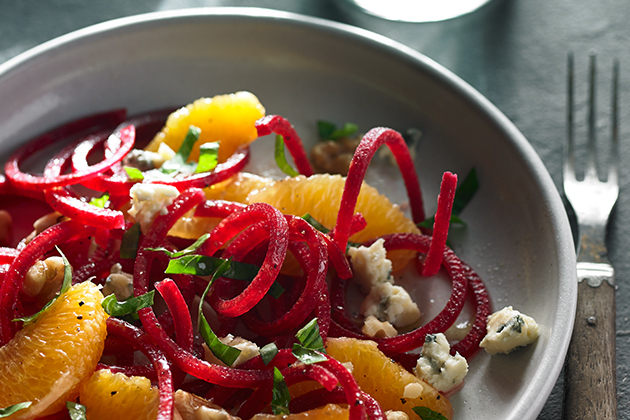 During this time, make the cranberry compote. Combine all the ingredients for the compote in a small saucepan and cook over medium heat, stirring occasionally, until cranberries are softened and sauce starts to thicken, about 3-4 minutes. Remove from heat and let cool. When you’re ready to make the pancakes, remove the heated casserole dish from the oven and place the butter in the dish. Let it melt completely before pouring the batter into the dish. Bake the pancake for 15-20 minutes or until puffy. Remove from the oven and top immediately with cranberry compote, whipped cream, and powdered sugar. 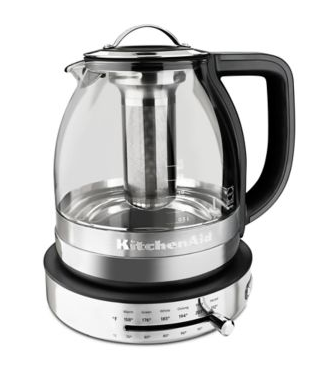 Serve immediately with a cup of tea brewed using the KitchenAid® Glass Tea Kettle.